Chow Line | Chow Line is about food, nutrition and food safety. Which fruits and vegetables are in season in the spring? 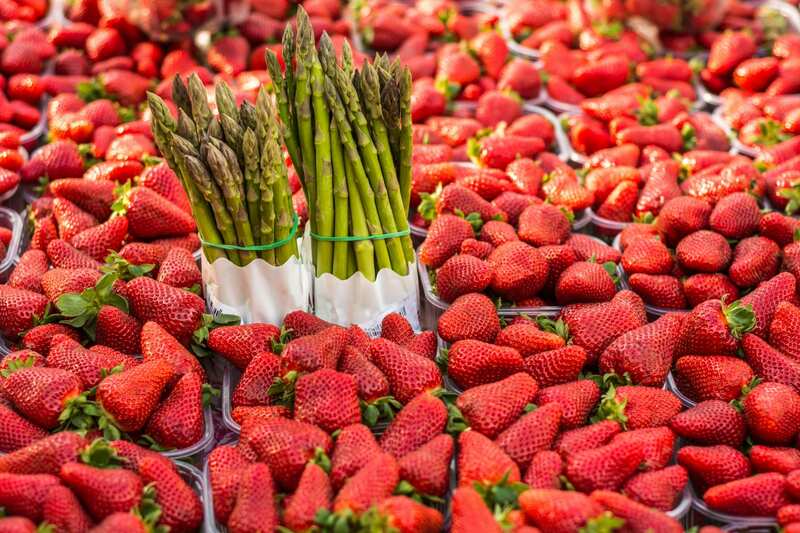 Strawberries and asparagus in an open air market. Photo: Getty Images. Rain and bright sunny days make spring a good time to indulge in a wide range of plentiful produce such as asparagus, cabbage, kale, spinach, and strawberries. Not only are these items extremely fresh and flavorful because they’re currently in season, but they’re also widely discounted because of the abundance of supply based on this time of year. Because fruits and vegetables grow in cycles and ripen during certain seasons, produce typically is fresher and tastes best when ripe. And while most fruits and vegetables are available to consumers year-round thanks to agricultural innovations, seasonal fruits and vegetables are typically cheaper to buy because they are easier to produce than fruits and vegetables that are grown out of season. For example, the top advertised items on sale in local grocery stores this week were fruits, comprising 48% of all ads, and vegetables, accounting for 41% of all supermarket sale ads, according to the April 5edition of the National Retail Report, a weekly roundup of advertised retail pricing information compiled by the U.S. Department of Agriculture. While eating fruits and vegetables is an important part of a healthy diet, it’s also important to remember to incorporate food safety when preparing and eating them. 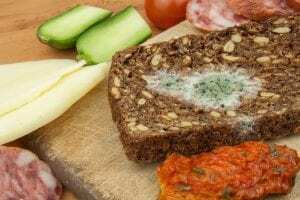 This is because some raw fruits and vegetables can contain foodborne pathogens such as E. coli, listeria, and salmonella, according to the Centers for Disease Control and Prevention. As such, nearly half of all foodborne diseases are caused by germs on fresh produce, the CDC says. Always choose produce that isn’t bruised or damaged. 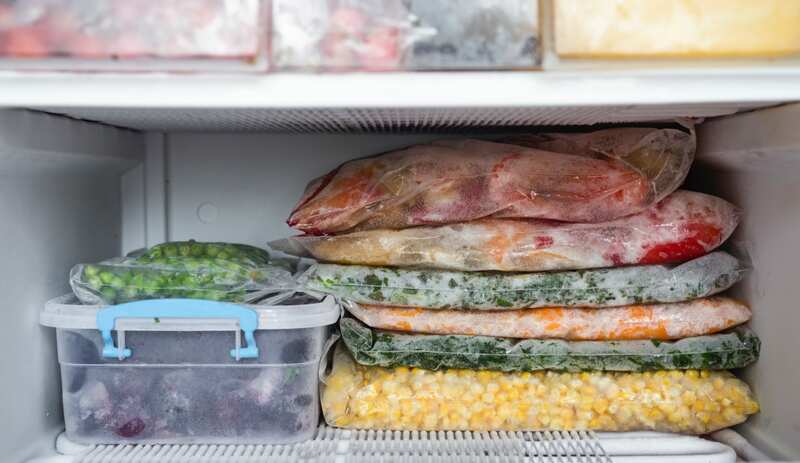 When shopping, choose pre-cut fruits and vegetables that are refrigerated or are kept on ice. Keep fruits and vegetables separated from raw meat, poultry, and seafood in your shopping cart and in your grocery bags. Wash or scrub fruits and vegetables under running water, even if you do not plan to eat the peel, so that dirt and germs on the surface do not get inside during slicing. Refrigerate within two hours any fruits and vegetables that you have cut. Store them in a clean container at 40 degrees Fahrenheit or colder. Store fruits and vegetables away from, and not next to or below, raw meat, poultry, and seafood. These items can drip juices that might contain germs. Use a separate cutting board for fruits and vegetables than what is used for cutting or preparing raw meats, poultry, or seafood. Wash cutting boards, counter tops, and utensils with hot, soapy water before and after preparing fruits and vegetables. Chow Line is a service of The Ohio State University College of Food, Agricultural, and Environmental Sciences and its outreach and research arms, Ohio State University Extension and the Ohio Agricultural Research and Development Center. Send questions to Chow Line, c/o Tracy Turner, 364 W. Lane Ave., Suite B120, Columbus, OH 43201, or turner.490@osu.edu. Editor: This column was reviewed by Shari Gallup, educator, family and consumer sciences, OSU Extension. 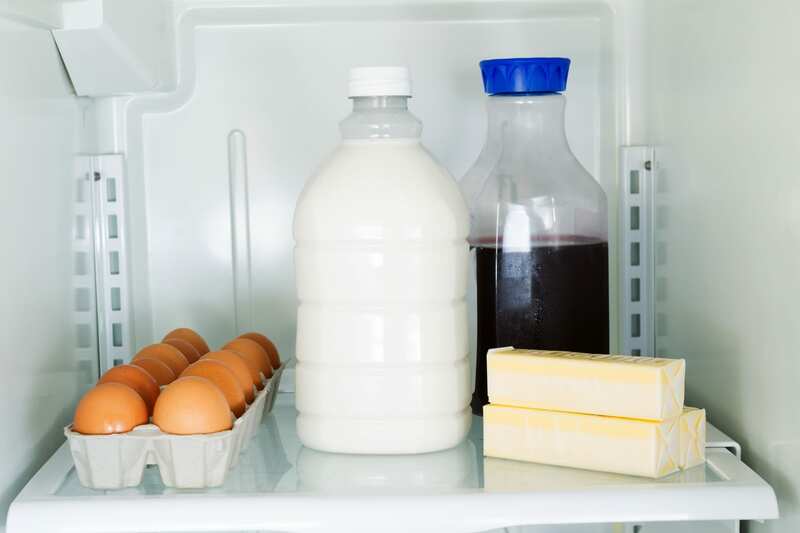 Generally speaking, canned food and beverages that have mold growth should be thrown out, while foods such as fermented vegetables, hard cheeses, hard meats, and firm vegetables can be eaten if you remove the molded portion of the food before consuming, Snyder said. My little boy is at the age where he has decided he does not like to eat vegetables. As a parent, how can I instill better eating habits in my child? While it’s normal for young children to be picky eaters, there are ways that you can help them develop healthier eating habits. One easy way is through modeling healthy eating habits yourself. One of the most common ways that children learn new things is by watching and imitating parents’ actions. In fact, research has shown that parents’ eating choices can have a major influence on their children, said Ingrid Adams, state specialist in food, health, and human behavior for Ohio State University Extension. OSU Extension is the outreach arm of the College of Food, Agricultural, and Environmental Sciences at The Ohio State University. Studies have found that parental modeling of healthy food choices has been positively associated with those same parents’ children’s consumption of fruits and vegetables. And children whose parents modeled healthy eating behaviors were more likely to meet their recommended daily intake of fruits and vegetables, Adams said. “By modeling unhealthy eating behaviors, parents may increase the likelihood of their children being overweight or obese, putting them at greater risk for chronic diseases that can affect their health now and in the future,” she said in Modeling at Mealtime, a recent Ohioline fact sheet. Ohioline is OSU Extension’s free online information resource and can be found at ohioline.osu.edu. Be willing to try new and healthy food options yourself. Offer new foods without forcing or bribing your child to eat them. Show your kids how to make healthy choices during meals and snack times by choosing nutritious foods—and avoiding “junk foods”—yourself. Choose fruits and vegetables as snacks in place of chips and candies, and replace sodas and other sugary, sweetened drinks with water. In other words, make water your dink of choice. Make meals nutrient dense by including foods from each of the five good groups: vegetables, fruits, whole grains, lean protein, and dairy. Take kids with you when you go grocery shopping. 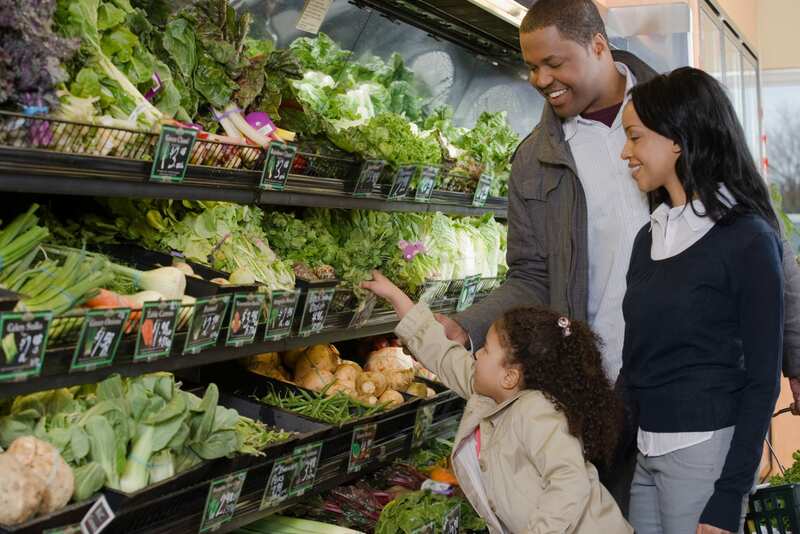 Show them how to choose fresh produce, compare nutrition labels on foods, and how to shop on a budget. This can help them understand where their food comes from, how to make healthy choices, and how to use money wisely. Editor: Ingrid Adams, field specialist in food, health, and human behavior for OSU Extension, reviewed this column. The symptoms of food poisoning vary depending on the type of germ to which you’ve been exposed, but there are some common signs that can indicate whether you’ve been exposed to a foodborne illness. The most common signs include stomach cramps, upset stomach, nausea, vomiting, diarrhea, and fever. 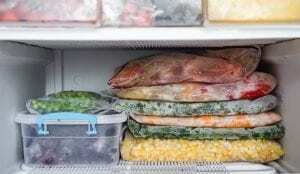 Some bacteria, such as Listeria can cause flu-like symptoms. 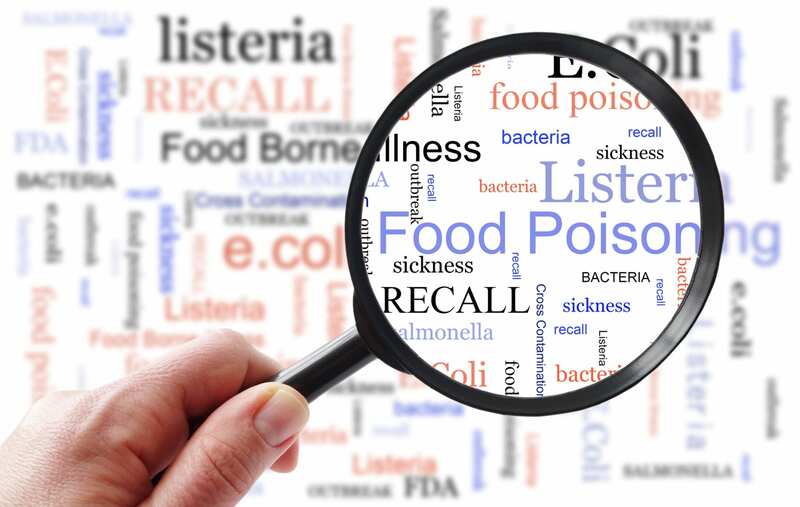 It’s important to note that symptoms of food poisoning can range from mild to serious and that some of them can come on as quickly as 30 minutes after you eat or as long as four weeks after you’ve eaten something that contains a foodborne pathogen, according the Centers for Disease Control and Prevention. Staphylococcus aureus (staph), symptoms could appear as soon as 30 minutes to six hours later. Clostridium perfringens, symptoms could appear as soon as six to 24 hours later. Norovirus, symptoms could appear as soon as 12 to 48 hours later. Salmonella, symptoms could appear as soon as 12 to 72 hours later. Clostridium botulinum (botulism), symptoms could appear as soon as 18 to 36 hours later. Vibrio vulnificus, symptoms could appear as soon as one to four days later. Campylobacter, symptoms could appear as soon as two to five days later. coli, symptoms could appear three to four days later. Cyclospora, symptoms could appear one week later. Listeria monocytogenes, symptoms could appear one to four weeks later. Some people may experience symptoms that last several hours or several days, said Sanja Ilic, the state food safety specialist for Ohio State University Extension. OSU Extension is the outreach arm of The Ohio State University College of Food, Agricultural, and Environmental Sciences (CFAES). 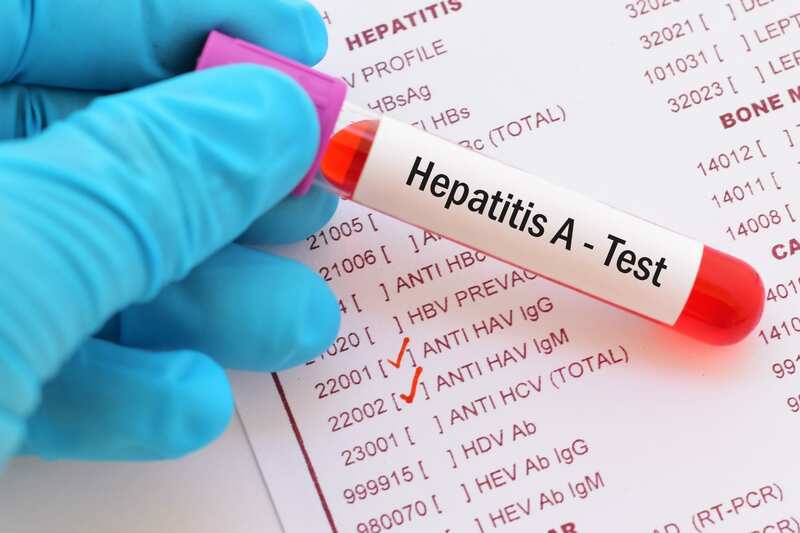 “While most people experience only a mild illness, people with underlining conditions that weaken their immune system may experience severe outcomes that require them to be hospitalized,” she said. A high fever, typically over 101.5 degrees Fahrenheit, measured with an oral thermometer. Diarrhea that lasts more than three days. Frequent vomiting that prevents you from keeping down liquids, as this can lead to dehydration. Signs of dehydration, which can be marked by a decrease in urination, a very dry mouth and throat, or feeling dizzy upon standing. Editor: This column was reviewed by Sanja Ilic, state food safety specialist for OSU Extension. I’ve been thinking about adding a dietary supplement as part of my daily routine. But I’m not sure how or if dietary supplements are regulated. Unlike over-the-counter medications, dietary supplements are regulated more like food products than like drugs. Supplements, which are regulated by the Food and Drug Administration, will now be subject to “new enforcement strategies,” including a new rapid-response tool that can alert consumers to unsafe products, the FDA said in a written statement this week. 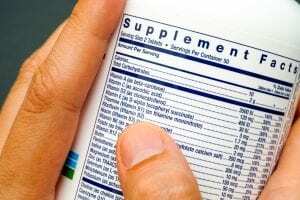 This is significant, considering that there are now close to 80,000 dietary supplements on the market, with three of every four American consumers now taking a dietary supplement regularly. For older Americans, the rate is four out of every five. Dietary supplements regulated by the FDA include vitamins, minerals, and herbs. In the 25 years since Congress passed the Dietary Supplement Health and Education Act, which gave the FDA the authority to regulate dietary supplements, the dietary supplement market has grown significantly, the agency said. “As the popularity of supplements has grown, so have the number of entities marketing potentially dangerous products, or making unproven or misleading claims about the health benefits they may deliver,” Gottlieb said. communicating to the public as soon as possible when there is a concern about a dietary supplement on the market. ensuring that the FDA’s regulatory framework is flexible enough to evaluate product safety while promoting innovation. continuing to engage in a public dialogue to get valuable feedback from dietary supplement stakeholders. I’m making a batch of holiday goodies, and I’m using several kinds of festive decor on the cakes, cookies, and pies. Some of this glitter and sparkly stuff is very pretty, but I’m wondering if it’s really safe to eat. That depends on what the label on its packaging says. When baking fancy cookies, cakes, cupcakes, or other foods for the holidays—or for any occasion—it’s important that you are aware of which decorations are edible and which ones aren’t. The U.S. Food and Drug Administration issued a consumer alert this week that some glitters and dusts promoted for use in foods might, in fact, contain materials that should not be eaten. 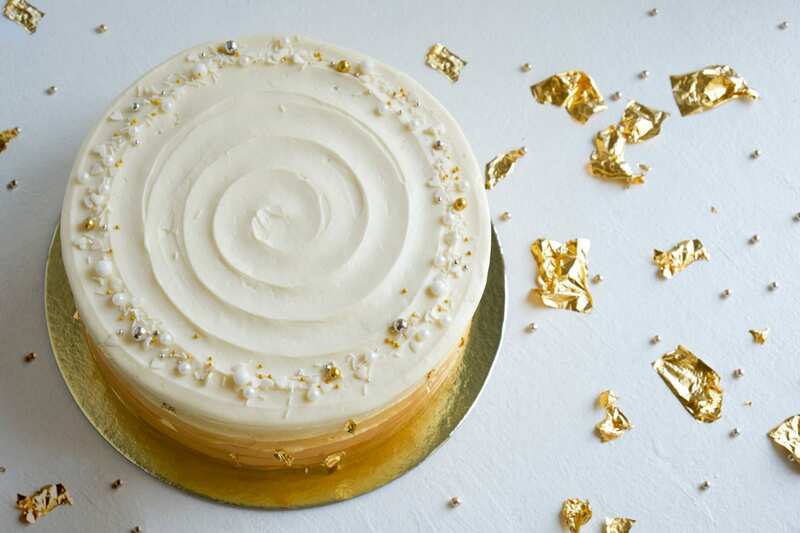 In fact, the FDA says consumers might want to avoid using glitter and dust to decorate cakes, cupcakes, cookies, pies, and other food items unless the products are specifically manufactured to be edible. While some glitters and dusts are sold online and in craft and bakery supply stores under names such as luster dust, disco dust, twinkle dust, sparkle dust, highlighter, shimmer powder, pearl dust, and petal dust, not all are safe to eat, the FDA says. Some of the decorations might be labeled nontoxic, but that doesn’t mean they are meant to be eaten. “Some decorative glitters and dusts promoted for use on foods may, in fact, contain materials that should not be eaten,” the FDA said in a written statement. So how can you distinguish between glitters and dusts that are safe to eat from those that are unsafe to eat? Food decorations that are edible must be clearly labeled as such. Companies that make edible glitters and dusts are required by law to include a list of ingredients on the label, per the FDA. If the label simply says “nontoxic” or “for decorative purposes only” and does not include an ingredients list, you should not use the product directly on foods. Nontoxic glitters and dust, which are typically used to make crafts sparkle, are made out of plastic. In contrast, some of the most common ingredients used to make edible glitter or edible dust include sugar, acacia (gum arabic), maltodextrin, cornstarch, and color additives specifically approved for food use, including mica-based pearlescent pigments and FD&C colors such as FD&C Blue No. 1. If you are purchasing a professionally decorated cake or other food item, specifically ask the baker or cook if all ingredients are edible. To ensure that the decorative products are edible, you can also ask to see their labels. If you do decide to purchase or decorate a food item with decorations that are not edible, you should be sure that you remove the decorations before serving or eating the food. You don’t want anyone who eats your treats to have any adverse reactions to your creations. Special Note: Chow Line is taking a two-week holiday hiatus. Look for fresh perspectives in the New Year on Jan. 11, 2019.